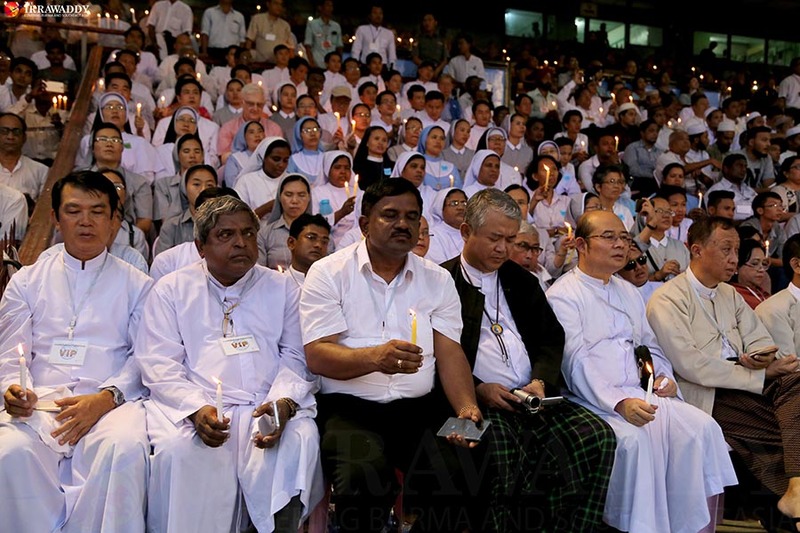 YANGON — Religious leaders of Myanmar called for unity and peace as they gathered at the country’s first mass interfaith rally at Aung San Stadium in Yangon on Tuesday. “We, the Muslims, strongly hope for the immediate end of the current conflicts and the haters. We strongly desire to live in harmony as our ancestors lived in past centuries. We want back the situation where we shared the happiness together with humanity, without haters and doubts of each other, without discrimination,” he told the crowd. “We would like to urge every citizen to work for the peace, unity and living in harmony,” he added. 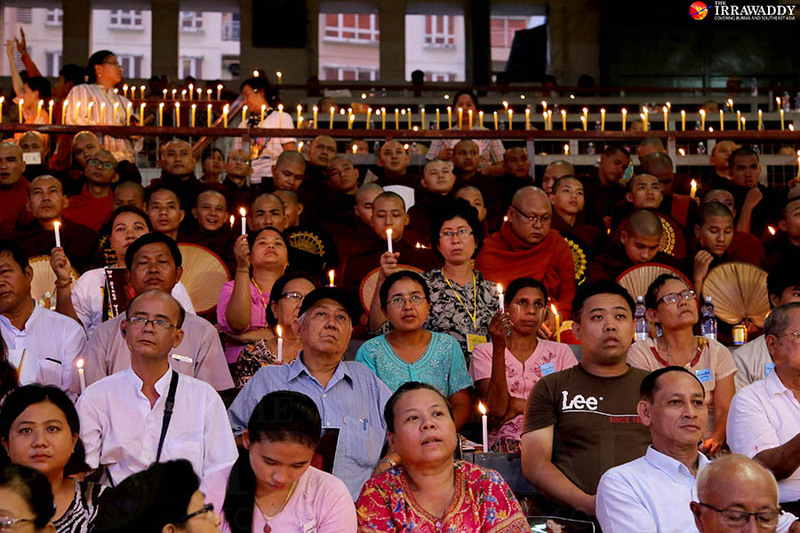 “We went to tell the world that Myanmar is living under the teaching of Lord Buddha. We have sympathy to every human being. The world has to understand [Daw Aung San Suu Kyi’s] government and has to help her. It is impossible to solve every problem in just 18 months,” said Cardinal Charles Bo. The Cardinal said the country under the leadership of Daw Aung San Suu Kyi has its own strategy to solve the problems. He criticized the international community for stripping awards from the State Counselor. “She is not working for her country to win the awards. The Nobel peace prize came to her, she did not chase it. The awards can be stripped from her. For me, I would like to give back the awards with the compensation,” said the cardinal.